In nature, there is no such thing as a truly clean surface. Contact with normal air is sufficient to coat any material with a thin layer of molecules. This "molecular dirt" can change the properties of the material considerably, yet the molecules themselves are difficult to study. Some have speculated that this "dirt" is simply a single layer of water molecules. 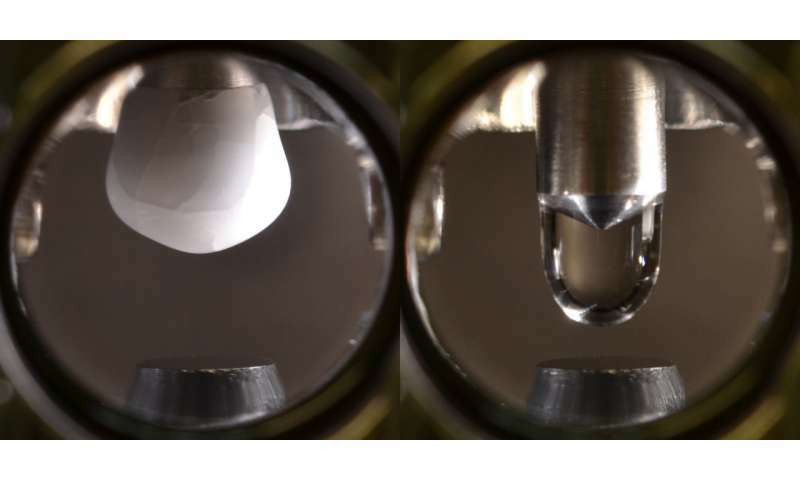 To test this idea, a new investigation method has been developed at TU Wien: By creating ultra-pure ice in a vacuum chamber and then melting it, researchers could create the world's cleanest water drops, which were then applied to titanium dioxide surfaces. 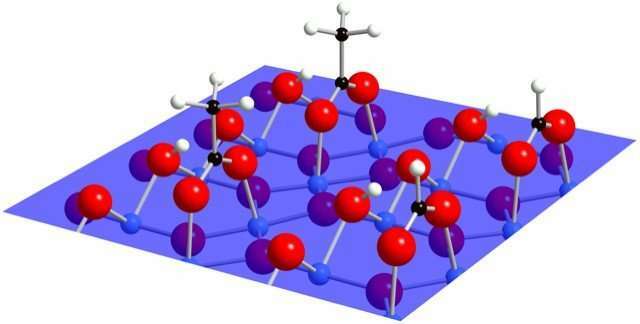 The idea has been proposed that these molecules were a new type of water ice or perhaps soda water formed from carbon dioxide in the air. The correct answer is much more interesting: as the research team discovered, these structures are actually two organic acids, acetic acid and formic acid. These acids are by-products of plant growth. Remarkably only tiny traces of these acids occur in the air—a few acid molecules per billion air molecules. Although many other molecules are more common in air, it is these two acids that stick to the metal oxide surface and change its behaviour. Only when the sample is brought into contact with air do the strange molecules appear. Interestingly, the same molecules were observed in different parts of the world—in urban Vienna and in a rural part of the United States. Chemical analysis showed they were simple organic acids typically produced by plants. The results of the research work have been published in the journal Science. If these natural compounds will do this, imagine what so many of our artificially manufactured chemicals can do at extremely low amounts. No, they are not at near the abundance of acetic and formic acids, but we have been dumping literally billions of tons of unknown toxicity chemicals and chemicals and plastics in the ecological sphere that do not have natural antagonists. With Iron we have certain microbes that use it for energy, so our iron items fade into rust layers in the clay, we do not have the same for all plastics. Polyethelene seems to be an exception, but most of the rest, particularly chlorinated and flourinated plastics are sometimes toxic down to nano-sizes, and we do Not know all the repercussions.